Christian Boarding Schools for Boys in Mississippi -- Safe Harbor is a lower cost alternative to therapeutic boarding schools in Ocean Springs, MS. – boarding schools therapeutic and low cost boarding schools. As you look for Christian boarding schools in Ocean Springs, Mississippi, will you take a minute to look at Safe Harbor? Safe Harbor is a lower cost alternative to therapeutic boarding schools in Ocean Springs, Mississippi, with similar success. Safe Harbor is a Christian boarding school based in Jacksonville, Florida with more than 25 years of success in developing men of character, integrity, and vision. While we are located in Florida, we accept and provide education to boys from Ocean Springs, Mississippi. 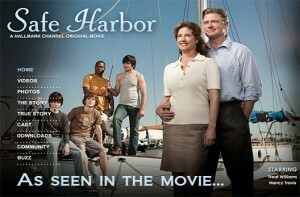 Safe Harbor transforms wayward teenage boys into mature and dependable young men. Boys who are trained at Safe Harbor may be caught up in depression, rebellion, behavioral and school issues, minor drug use or trouble with the law, or the upheaval of a loss in their life. Frequently, teens in these situations benefit from a less narrow view of the world, one not so centered on themselves or keeping up with their peers. Although you may be seeking a Christian boarding school in Ocean Springs, Mississippi, please consider that the Safe Harbor waterfront experience blended with the personal attention, counsel and training lead to an unparalleled setting for growth and change in behavior. 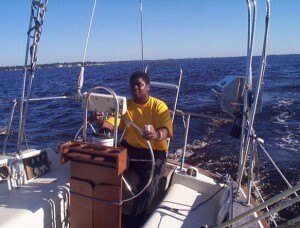 For at-risk boys, Safe Harbor boarding school teaches boating and maritime skills, offers practical life skills, and promotes character in the context of vocational training, all while boys work toward their high school diplomas. The boys (many have come from Ocean Springs, Mississippi) reside on board vessels at this waterfront boarding school. They gain knowledge of boating on the ocean and rivers while building respect for self and others, self-reliance, perseverance, and much more. 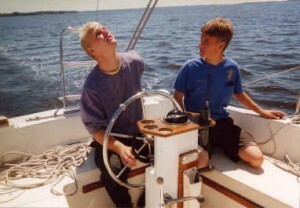 Each teen who successfully completes Safe Harbor discovers how to captain his own vessel, both literally and figuratively. At Safe Harbor, practical knowledge means as much as academic knowledge. In addition to all aspects of boating and seamanship, we offer vocational training in a number of topics, such as woodworking, boat refurbishing, navigation, log keeping and map reading, welding, boat maintenance and repair, and basic electrical skills. We also know boys should be able to handle basic life skills. Students of Safe Harbor are taught to balance a checkbook and handle personal finances responsibly, search for employment using appropriate resume and interview skills, understand basic nutrition, and handle laundry and housekeeping tasks, to name just a handful of the topics we cover. Our goal is to make your boy respectful, self-reliant, confident, and competent. Safe Harbor teaches teenagers practical lessons based on the biblical book of Proverbs, and our overall methods are based on God’s Word. We encourage teens to ask the meaningful questions about life and research the answers for themselves. Concerning counseling, our program incorporates group and individual counseling, both from a mental health professional and from a pastoral counselor. The small size of our program guarantees plenty of interaction time for boys from Ocean Springs, Mississippi with professional staff and mentors. Because of the uncommon nature of the program, we take residents from all across the country, including from Ocean Springs, Mississippi. Safe Harbor is like no other boarding school or boys home and gives boys a character-molding opportunity and an adventure that cannot be reproduced in Ocean Springs, Mississippi. As you carry on your search in Ocean Springs, Mississippi and elsewhere, thank you for looking at Safe Harbor Maritime Academy situated on the East Coast in Jacksonville, Florida. Ocean Springs is a city in Jackson County, Mississippi, United States, about Convert east of Biloxi. It is part of the Pascagoula, Mississippi Metropolitan Statistical Area. The population was 17,225 at the 2000 census. As of the 2010 census, the city of Ocean Springs had a population of 23,161. The town has a reputation as an “arts community.” Its historic and secluded downtown area, with streets lined by Live Oak trees, is home to several art galleries and shops. It is also home to a number of ethnic restaurants relatively uncommon in surrounding communities, such as Mediterraneo, Phoenicia Gourmet, Lagniappe Restaurant and Shady’s Global Grille on Government street. Ocean Springs was the hometown of the late Walter Inglis Anderson, a nationally renowned painter and muralist who died in 1965 resulting from lung cancer. The town plays host to several festivals, including its Peter Anderson Festival and The Herb Festival. Excerpt about Christian boarding schools in Ocean Springs, Mississippi, used with permission from Wikipedia. Should you need help finding boarding schools, Christian boarding schools, boarding schools, residential treatment for youth, please let us know. Safe Harbor is among the top therapeutic schools, our therapeutic boarding schools for boys; one of few residential treatment centers and residential schools for teens that is affordable. As a home for troubled boys it serves at-risk boys, we help boys in Florida, Georgia, in Kentucky, in Tennessee, in Missouri, in Louisiana, in Arkansas, and in Texas. Plus, in the Midwest in Michigan, in Ohio, in Indiana and in Illinois. Mostly, troubled teens from homes along the east coast including in Virginia, in North Carolina, in South Carolina, in Pennsylvania, in New Jersey, in Massachusetts and in New York are provided counseling and therapy. Christian Boarding Schools for Boys in Mississippi -- Safe Harbor is a lower cost alternative to therapeutic boarding schools in Ocean Springs, MS.